Hello! Today you are joining me for the Fancy Friday blog hop. 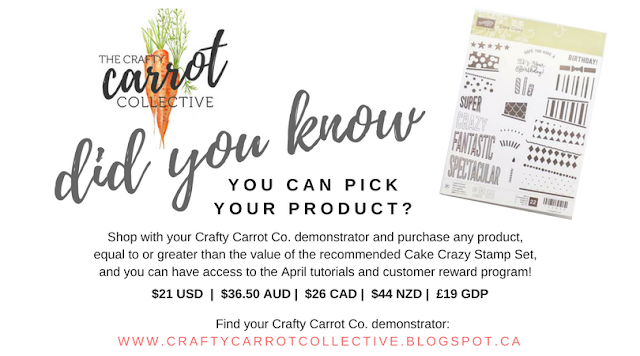 This month our hop challenge was to create two cards ... one of for a Beginner Stamper and another card, stepped up, for an Avid Stamper. When I started to design, I started with my stepped up card. I tend to stamp at this level often and I refer to them as an Artisan style card. I add lots of layers, embellishments and there is always some Big Shot work. It was difficult to photograph, but I colored in the flowers with Clear Wink of Stella. It gives the blooms a soft shimmer that I love. 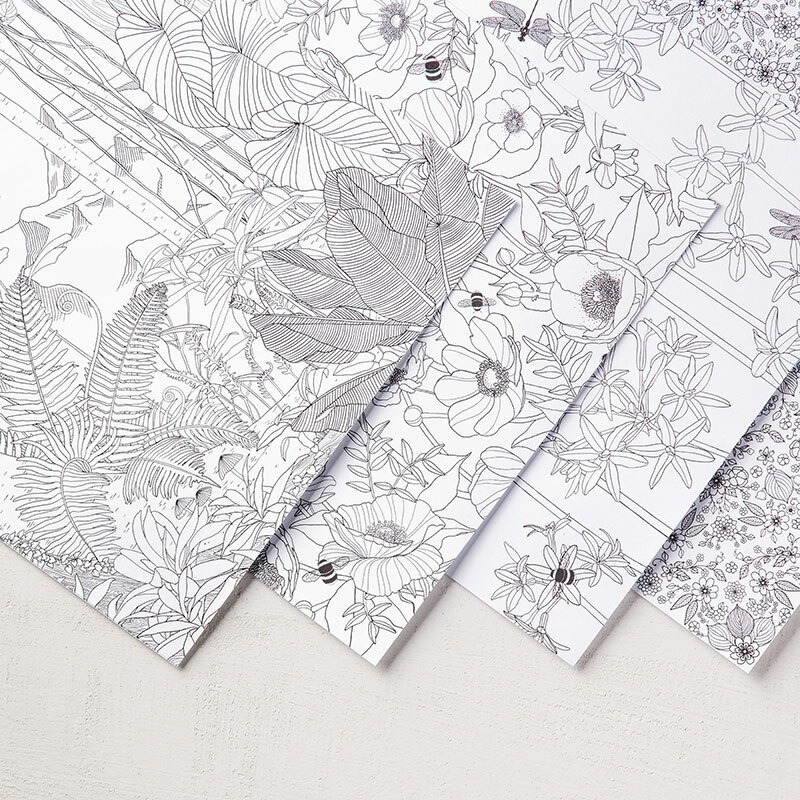 Spritz the corner of your cardstock with rubbing alcohol to easily curl and scrunch. My Beginner Stamper card ... or a quick and easy card. We all need these sometimes! In both of my cards, I stamped the flowers with Smoky Slate Ink and colored in with a Sponge Dauber. 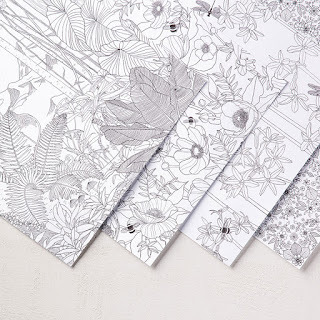 It is a no fuss coloring technique! Next on the Fancy Friday blog hop is my friend Allison Okamitsu. Click over to her blog and see what she has created for us today! 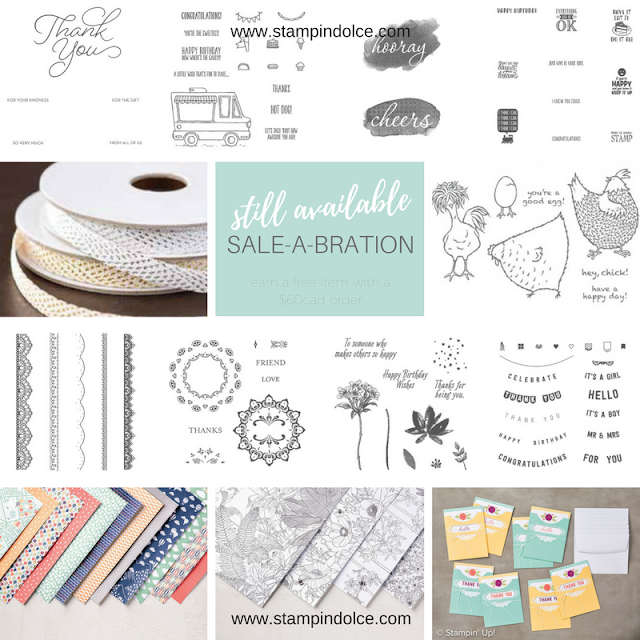 You can find the Fancy Friday blog hop the last Friday of each month. Be sure to come back and visit! 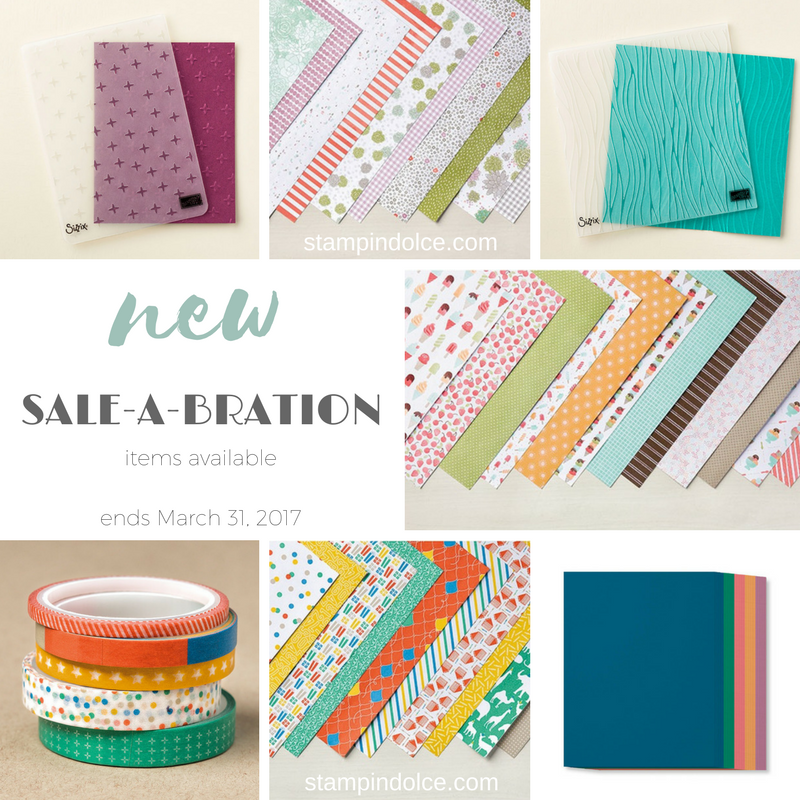 March 31st at 11:00pm MST, Sale-a-bration will come to an end. There are so many beautiful, limited time, products that will be leaving forever. Do you have your favorite yet? 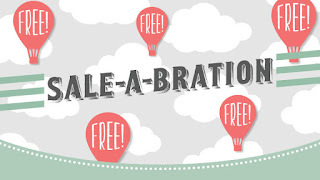 This Sale-a-bration stamp set is: Reverse Words. You can earn this stamp set free (or any of the dozens items available) with a $60 CAD product purchase from my online store. 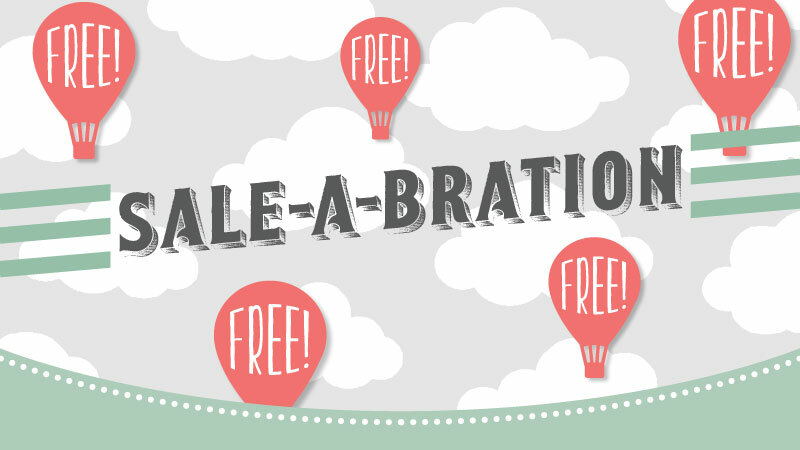 Here is a look at the other free items that are available (while supplies last). 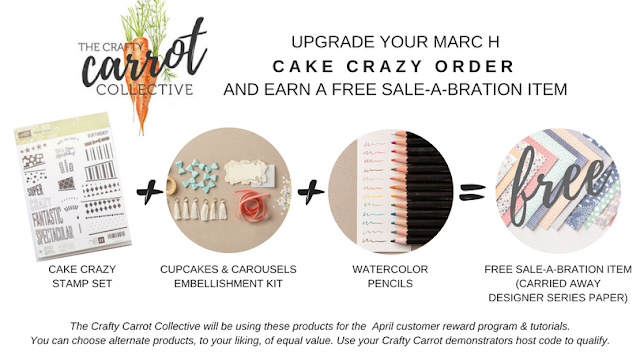 Join the Crafty Carrot Collective! 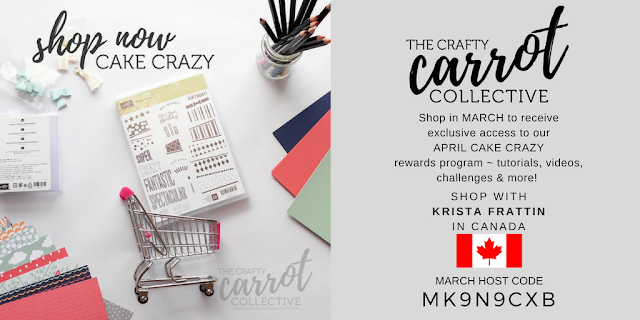 Use my unique host code when you are shopping and you can join the April customer reward and tutorial program! Learn more here. Hello my global friends! 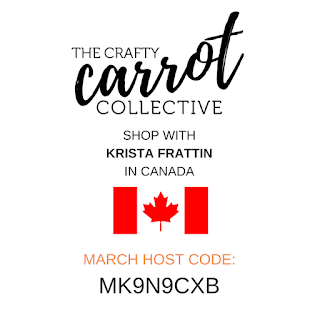 I am dying to share my card with you today! 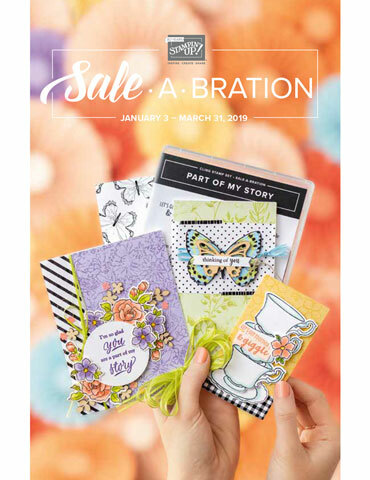 The minute that I saw the Inside the Lines Designer Series Paper from Stampin' Up!©, I was in love. Back when I was on the Artisan Design Team, I put a suggestion in the suggestion box that we needed a paper like this! Now, I am not sure that I actually had influence with this product, but I like to tell myself that I did. For my project today, I skipped the coloring and pulled out my Sponge Brayer. It made this card come together with just a few rolls. After I cut the bumble bee out with the Big Shot, I used Clear Wink of Stella to paint shimmer over the Basic Black Cardstock. 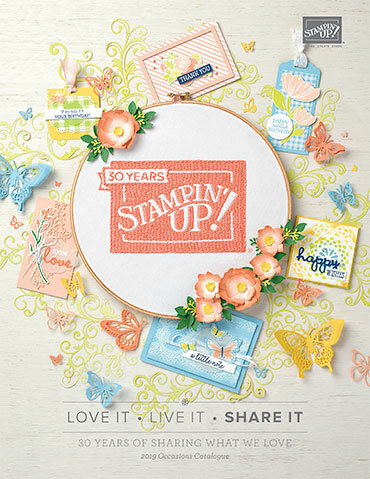 I am stamping today for the Global Design Project Challenge #GDP080. 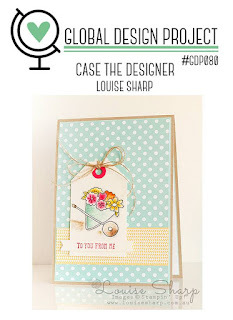 This week we are CASE-ing the talented Louise Sharp. Click over the the GDP to see dozens of project ideas! If you are crafting this week, play along! I hope you all have a wonderful week. I am wishing for sunshine and warmer temperatures ... we sure could use some spring weather. Have a creative day! 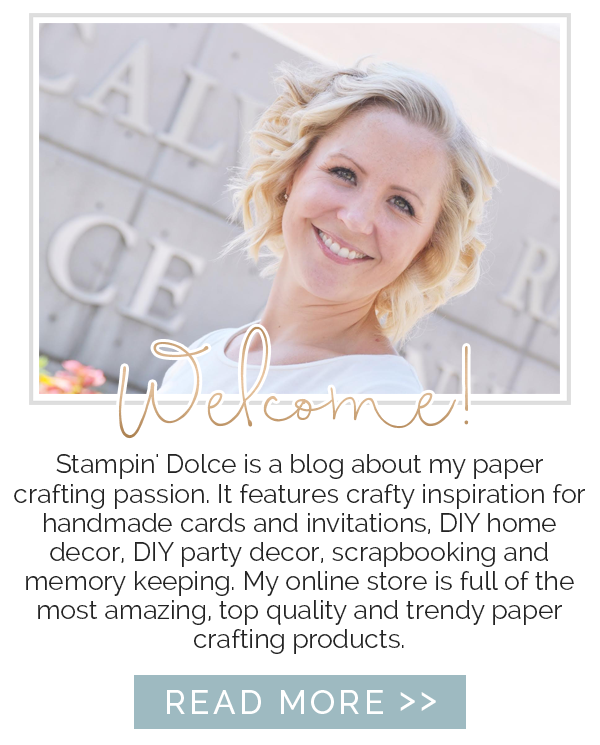 Earn free rewards when you shop with Stampin' Dolce. 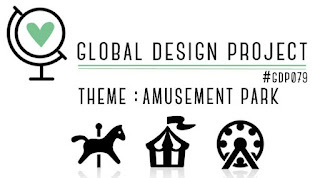 This week, the Global Design Project challenge is amusment park. When I see a hot air balloon, it takes me to downtown Disney in Florida. Have you been? 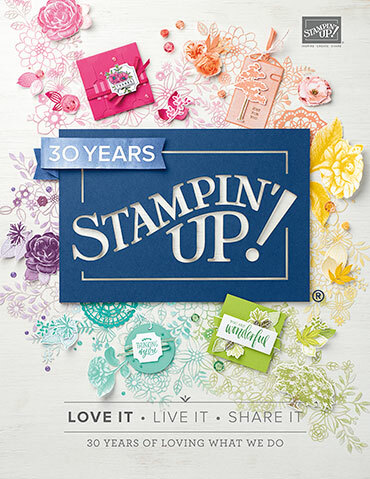 I was there a couple of years ago for a Stampin' Up! conference. At the time, they were renovating Downtown Disney and giving it a new look. If you have been recently, comment below and let me know ... are the renovations complete? Is the balloon still there? 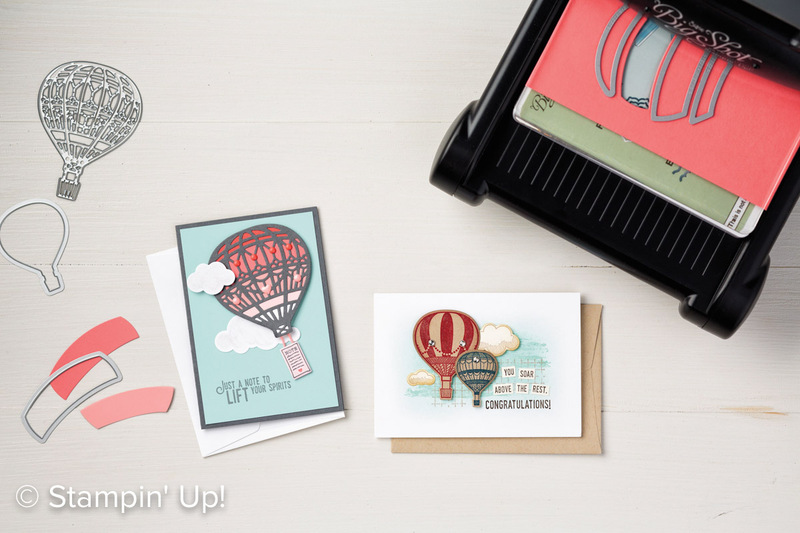 I cut the detailed hot air balloon with the Up & Away Thinlits Dies from Stampin' Up!. The set comes with 6 intricate pieces that you can layer behind the balloon to add color (see the image below). I was going for a clean, less busy look ... and well, let's be honest, a quicker solution. (The balloon elements can be fussy and I am not always patient with fussy stamping). I traced the hot air balloon Thinlit on a piece of Whisper White Cardstock with a pencil. Then, I fussy cut it out with Paper Snips, cutting to the inside of the balloon pencil line. You can see that it was a smidge wider than the Very Vanilla detailed hot air balloon shape, but that did not bother me. Click over to the Global Design Project to see amazing projects from the design team and followers all over the globe. As always, you are invited to play along, it is easy! 4. copy your post link and upload it to the GDP site at the bottom of the post (there are easy prompts and instructions over at the GDP).